Apple has long dominated the laptop market with its premium style, performance, and distinct interface. Indeed, as the first company to showcase unibody construction, backlit keyboards, and multi-touch trackpads, Apple is the undisputed innovator when it comes to laptops. Retailers that sell laptops recognize the consistent demand for MacBooks, especially now with the release of the latest iteration of the MacBook Air. But what’s interesting about Apple’s current suite of laptops is how some feature cutting-edge technology, while others have not been updated in years. 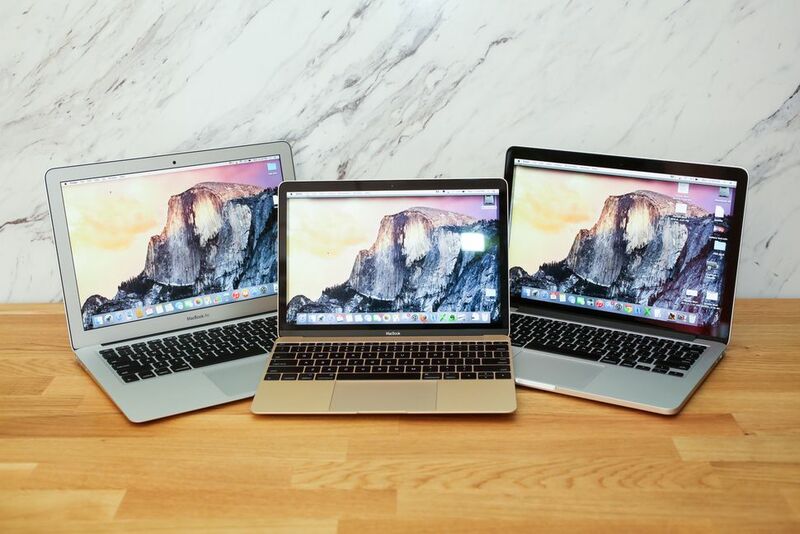 This variation could make it difficult for buyers to know which MacBook is the most suitable for them. Being the most affordable model in the MacBook Pro line, this laptop will not give you that wow factor, but it’s the most practical Mac purchase that will satisfy the majority of users. A 13-inch Retina screen, combined with a responsive trackpad, decent speakers, and USB-C ports give you all the functionality you need in a sleek package. Inside, its dual-core 7th generation processors may not be the latest but coupled with 8GB of RAM and Solid State Drives, you can count on its fast and reliable performance. The only drawback is the lack of Touch ID, which means you still have to log in by typing passwords. If you don’t need much power but still prefer a laptop over a tablet, then this skinny, 12-inch MacBook would be a great choice. A light and thin unit perfect for travel or commute, this laptop has Y-series chips, giving you battery longevity even if you’re stuck someplace without any power outlets. It’s perfect for web browsing, doing spreadsheets in Excel, and occasional work using Photoshop. If you need something for video projects, however, this might not be the laptop for you. The main issue here is the lone USB-C port. If you’re prone to plugging peripherals to your device, you will find having just a single port cumbersome. You would need to buy an adapter to supplement the lack of ports. The biggest model in the MacBook Pro line, this laptop boasts the fastest and most powerful internal system than any of the MacBooks available now. A 7th generation Intel processor and Radeon technology make the device ideal for professional use like video and photo editing. Big files can be accommodated without any issues with its 256 GB storage. However, if you regularly store big files, you might want to upgrade its memory to the 2TB model. The massive screen makes editing and web browsing convenient, while the innovative Touch ID and Touch Bar gives you customizable control options. These Apple laptops will last you for years, and if you need a computer now, these are more than capable to handle your needs. But if you can wait for something potentially better, hold off a few more months and see if Apple will release new models.